Slug and Lettuce have been a staple of Uxbridge for many years, and love it or hate it, the Uxbridge nightlife will have drastically changed with the Slug & Lettuce closure. But with the closure of Slug and Lettuce, comes a new and untested brand called Millers Tap. Are you excited for the change? or disappointed that Slug and Lettuce Uxbridge has closed? That’s a good question, and apparently, it is a new brand, as a search for answers has come up relatively empty. What we do know is that Millers Tap is a brand name of the Stonegate Pub Company, which also own the Slug & Lettuce brand. So rather than Slug & Lettuce going out of business, or deciding they no longer want the location, the location is still being run by the same company, so it is little more than a strategic name change. 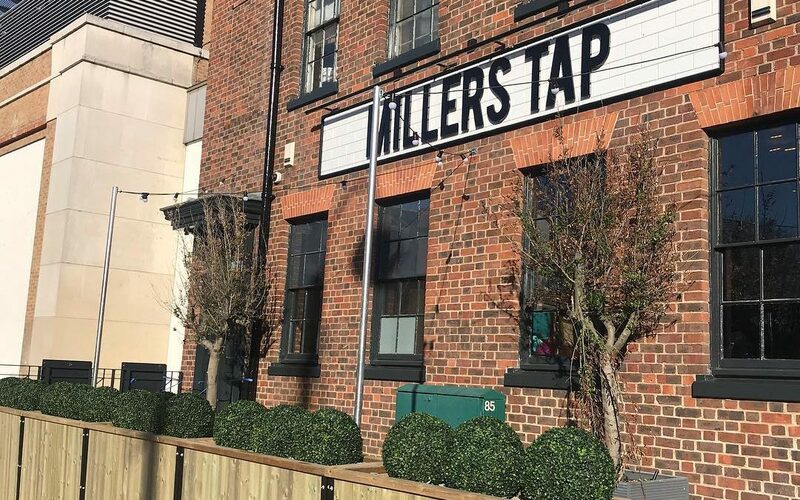 Slug & Lettuce is usually full and quite popular, especially weekend evenings, so it is not clear why the parent company has decided to change the location to a Millers Tap branded pub, rather than keeping Slug & Lettuce branding. 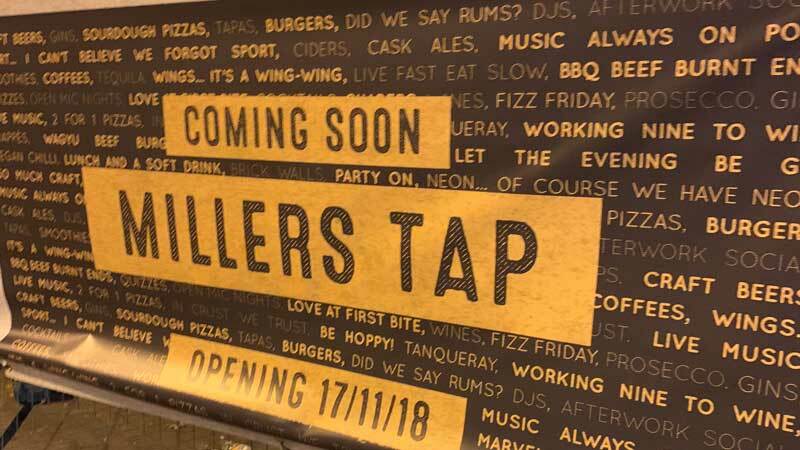 It is strange that they are replacing the well-established brand with a completely new brand – there are currently no other Millers Taps – but we will soon find out what Millers Tap has to Offer. We will reach out for any insights the company may have for us, but until then, we will give you a brief overview of Millers Tap and the Stonegate Pub Company below. Slug and Lettuce is a chain of bars that operate in the United Kingdom, with a large number located in London and South East England. As of 2017, there are a total of 70 outlets. Hugh Corbett opened the first Slug and Lettuce in Islington in 1984. He attempted to enhance the public-house environment, at a time when standards were often low. The bars are designed for a youthful clientele and aim to attract an equal number of men and women with “female-friendly” designs. The chain has remained relevant by continually re-inventing itself for the contemporary marketplace. The chain has gone through a number of owners throughout its history and is currently owned by the Stonegate Pub Company, based in Luton, Bedfordshire. Who are the Stonegate Pub Company? And now Millers Tap joins that list. The Stonegate Pub Company was formed in 2010 by private equity firm TDR Capital, after it purchased 333 pubs from Mitchells & Butlers. Originally trading from rented offices near Birmingham airport it then moved its operations office to Capability Green in Luton in June 2011 when Stonegate bought the Town & City Pub Company who were in receivership, creating the largest privately held managed pub operator in the UK and acquiring the Yates’s and Slug and Lettuce brands in the process. In April 2013, the company announced a debt issuance via Morgan Stanley, allowing the equity investors to refinance existing debt and release cash from the company for their own purposes. In November 2015, Stonegate acquired 53 pubs from Tattershall Castle Group (TCG) including the Henry’s Café Bar and Tattershall Castle brands. In January 2016 the company began a programme to update the former TCG estate pubs and re-brand many of the venues to Slug and Lettuce to further develop the brand. In June 2015 it was reported that Stonegate Pub Company had bought 15 pubs owned by MacLay Inns (A former brewing company based in Alloa, Clackmannanshire, Scotland) from administration. The Stonegate Pub Company is registered in the Cayman Islands, a well-known location for tax avoidance purposes.